I had to have Abendale going up in smoke. A city based in the middle of a forest with woodland and trees spread throughout it, the place would be consumed in flames. This seemed to be the ending I was looking for, the hero’s escaped but looking back at the city as it burns. It felt fitting to have Joseph start the fire off, his treachery causing the first big city in Mariad to be destroyed due to Khazar’s forces. As he flees the scene of slaughter, a citizen jumps out at him as she trying to get out of a zombi’s grasp and he pushes her back…into a fireplace. Soon the place is ablaze. By the time Heinrich fights his way through and follows him through the building its highly aflame. It was interesting to read about the effects of smoke on the body, how badly burns would be created, what the hot air feels like in the lungs. I had a read of several forums where people who have been through these experiences talk about it, how the air itself is dry and burning, how painful it is and just if you can actually survive. I’d also set the books in the mid 17th to late 18th century era and as it happens fire engines were out by this point! 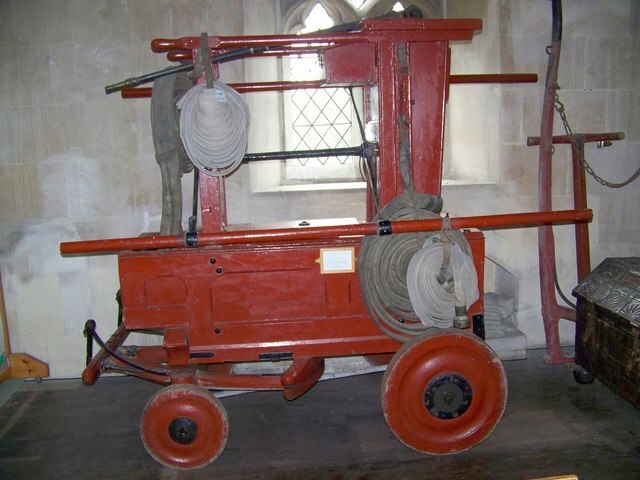 Made by Richard Newsham by 1730, it made sense that Abendale would be ahead on its fire fighting abilities. After all, its a city pretty much made of wood! 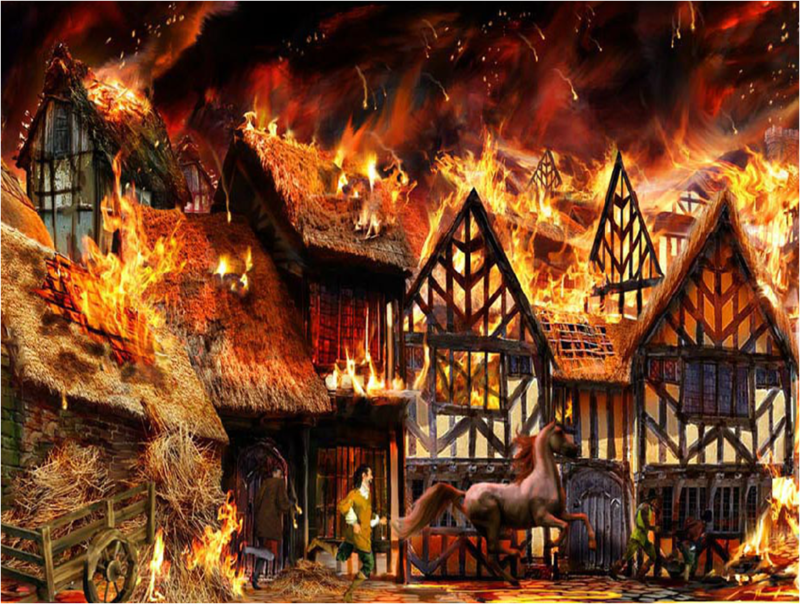 It also allowed me to paint another picture of Mariad’s financial status as I mentioned the lack of funding from the Lord has caused a lack of fire fighting facilities, hence the fire gets out of control. The fall of Abendale allowed me to show how the dereliction, thanks to the incompetence of Emile’s father and the now ruler of the Kingdom, has caused the deaths of so many. The Governor has very few to fight the army back with (just a small city guard), the roads are in disrepair and there isn’t much to cope with the fire. Khazar’s force is an undead army, not a nice way to be killed, but is any way nice? In a civil war, where people rise up against the ruler, many civilians are killed yet we often justify this as acceptable if the ruler is corrupt. Does this bring some reason to Khazar’s justification? Is it right that he is trying to take the Kingdom to kick the Lord out? Ultimately, I want this book to be more than just a simple good versus bad, which we initially see it as, and for the reader to see that reasons for such actions can have a degree of logic to them. With the amount of civilian deaths resulting from Khazar’s half dead army, to me it shows that this is probably not the way to go about kicking out a ruler! However, we can certainly see that the case is not simply black and white. If you want to find out more about my book, you can go to my Facebook page to find out more. Alternatively, if you fancy reading about the ideas behind my book from the start you can go to one of my first blog posts from a couple of weeks ago by clicking here!